So long, Clementine, Bigby, Eleven, and others. Despite talk of potential Walking Dead sequels, and rumours of a new game engine for future projects, Telltale Games has today announced a majority studio closure, resulting in layoffs for approximately 250 staff. “It's been an incredibly difficult year for Telltale as we worked to set the company on a new course," said Telltale CEO Pete Hawley. "Unfortunately, we ran out of time trying to get there. While not a complete closure, the end feels inevitable – given only 25 staff are being kept on in order to "fulfill the company's obligations to its board and partners." This isn't the first round of layoffs the company has seen, with 90 staff – approximately 25% of its workforce – being let go back in November. The lay-offs at the time were explained by Hawley as a part of "reorienting our organization with a focus on delivering fewer, better games with a smaller team." These latest layoffs come only a month after the studio released the first chapter of The Walking Dead: The Final Season. Founded back in 2004, Telltale made a name for itself with point-and-click style adventure games. Initially releasing titles in the Monkey Island and Sam & Max series, it wasn't until its games embraced a darker, more mature storytelling style with 2012's The Walking Dead: Season One that the studio found its stride. In wake of the announcement, many involved with Telltale Games have shared their thoughts, with co-founder and former-CEO Kevin Bruner writing that he was "saddened for the people who are losing their jobs at a studio they love. And I'm also saddened at the loss of a studio that green-lit crazy ideas that no one else would consider." 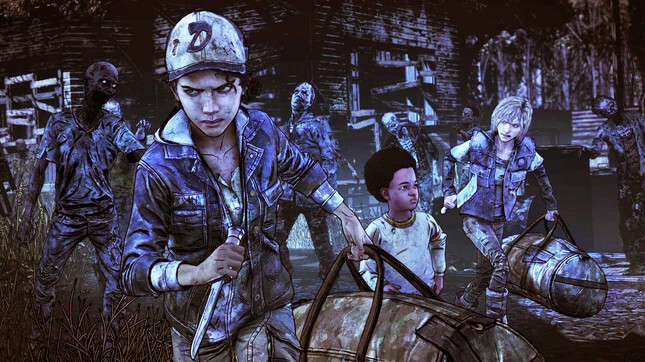 Melissa Hutchison, the voice of The Walking Dead's Clementine spoke out on social media, indicating that The Final Season would be cancelled after the release of episode 2. The upcoming Stranger Things project has been cancelled, with Netflix stating it is "in the process of evaluating other options for bringing the Stranger Things universe to life in an interactive medium." that previously announced projects such as the second season of The Wolf Among Us won't be seeing the light of day. On a personal note, Telltale has produced some of my favourite gaming moments in recent memory – from my first introduction to Lee and Clementine, to the seriously under-appreciated Tales from the Borderlands, and everything in between. While so many other publishers aim for the safe, mass-appeal option, Telltale weren't afraid to challenge its audience and approach a narrative from a completely new angle. My thoughts go out to all those affected.